“If you fight you might lose, if you don’t you have already lost.” It is meaningless to oppose to the water charges, but then to pay them. Your “protest” will be ignored and the government will have successfully robbed you of more of your money, and you will have made it easy for them. If a large majority pay, the political parties and the big business interests who are waiting to profiteer from water will see that as acceptance of the charge and you can forget about the “promises” to get rid of them. Once it’s in, it is much easier for the establishment to pressure the parties to keep water charges. But now after 7 years of unrelenting austerity we, ordinary working class people, have within our own hands the power to defeat this austerity charge and to challenge the gross inequality in this country. 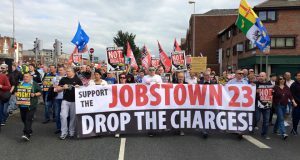 If those who are opposed to the charge; to Irish Water; to the privatisation of a vital natural resource; to the incompetence, intimidation, bullying and bonuses that have characterised this policy over the last year and a half; all refused to pay, undoubtedly that would be a clear majority of the population. 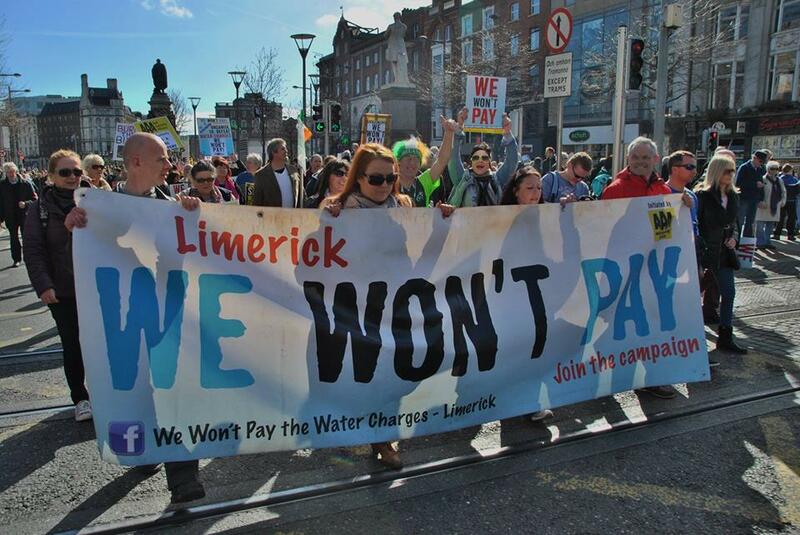 Mass non-payment will deny Irish Water of the oxygen of cash and capital. But crucially it would also make it politically impossible for the parties who are facing a general election within the next year, to stand over the charge. We can tip the balance against this charge. It would be near impossible to see how any new government could even consider imposing a charge that a majority are already not paying. People have nothing to fear but fear itself. The government’s bluster and threats against those who don’t pay are empty, like the Emperor with no clothes, there is nothing there. There are no penalties for not paying the first four quarterly bills. That means that everyone can refuse to pay a cent for at least a year and help establish majority non-payment by the general election, when the parties are most vulnerable, without incurring any penalties. The bills are going out and they say that people have two weeks to pay. That’s why the Anti Austerity Alliance and the Socialist Party are trying to get the idea of a protest boycott out there nationally as soon as possible, as well as the info that no penalties can be incurred until after the election. 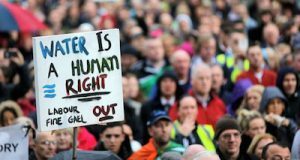 It is unfortunate, to say the least, that many who make a big point of their opposition to water charges such as some unions, Sinn Fein and even Right2Water will not now advocate non-payment. Regardless, if ordinary people in the communities get organised we can get the word out there and when people hear the facts they will see the sense and purpose of not paying. This can be done, it has already been shown. All we need is a new version of the movement that erupted last year from below against water metering. We need people to come together to spread the word and give confidence to those in the communities who are still fearful because of the government’s threats and bullying. 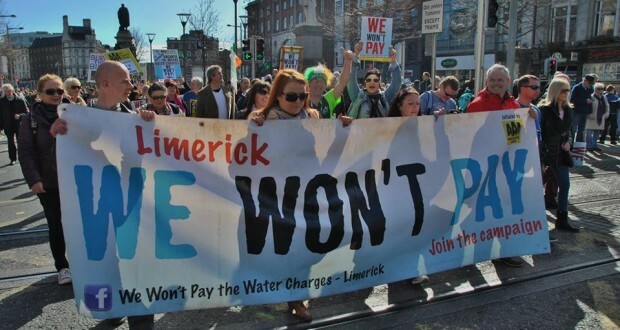 Defeating the water charges would change the whole political and social dynamic in this country. It would make any new government, of whatever combination of parties, nervous and uncertain in continuing with the austerity that their system demands is imposed. It would give working class people a sense of their own power and a chance to turn the tables and could translate into struggles on other issues, including on the issue of pay, as people still can’t make ends meet. A victory, organised by a movement in the communities, must also be the signal for the pulling together of a new party or political movement that really organises the working class and challenges the capitalist system. One hundred and thirty five years ago an organised protest movement from below against a land agent in Mayo made history. Now is the time to once again spread the “Boycott” tactic against water charges and in so doing sink Captain Kenny, his good ship Irish Water and begin to turn the tide for the working class in this country. 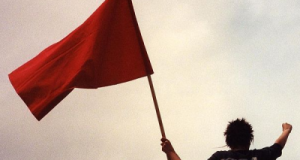 Breaking the rules of a rigged game – join the socialists today! Homelessness, inequality, childcare… Why capitalism isn’t delivering?